There are literally hundreds of different charities out there, including children's, health related, political, animal rights and environmental. They all need money so that they can continue to do research and help provide care for the people that they serve. While most charities do direct drives and get some of their money that way, it is often not enough. That is where the women's motorcycle clubs can step in. Your own club can choose a charity to "adopt" and help raise money for them throughout the year. If you would like, you can choose a different one each year, or you can continually work with the same charity, knowing that your efforts are appreciated year after year. Of course, if you would like to, your club can choose to do special events for other charities throughout the year in addition to your regular efforts. 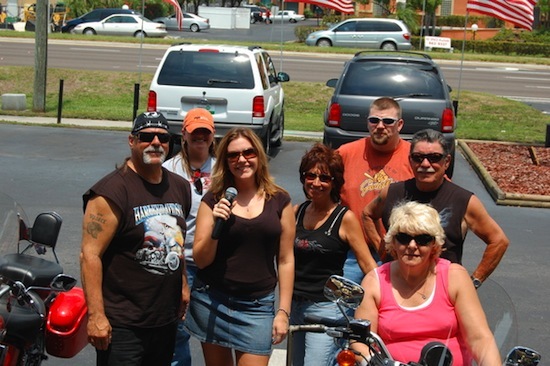 Women's motorcycle clubs can benefit their charity in many ways. First, there are the obvious ones, like the poker run, the road rally and the toll road. There are other ideas that can be incorporated by your club as well. Take common charity drive ideas and see how you can change them to fit in with the motorcycle. For instance, instead of having a car wash on a bright sunny day, have a cycle washing event and gather donations as you detail the various bikes that come through. Have a bike/bake sale in the parking lot of the local bike shop. Another idea is the Chinese auction: Make sure that you have plenty of motorcycle gear and apparel as well as other items to auction off to benefit your chosen charity. When your club is formed, there was probably some discussion about what you hoped to accomplish with it. You probably talked about how you would like to change the way that people looked at bikers in general and women bikers in particular. The charity drives are a perfect way to accomplish this. And while everyone is free to give to the charity of their choice, individually, anything that is given in the name of the club should be done only by a majority vote. Think of how you would feel if one of the members was going around donating money to a cause that you and the other members do not believe in'and doing so in the club's name. A vote should be taken for anything that is going to be done in the name of the entire club. Nothing could be more rewarding than helping others in any way that you can, but doing so while getting to be on your bike is even sweeter.